When you agree to allow Dora's Web World to manage your website for you, or manage your website's hosting, it is with the agreement that no spam will be sent from your website or domain name's address. If Dora's Web World is notified by another party that your website and or domain name's address has been spamming them, Dora's Web World may need to cease delivering services to you and or for your website. In this case, with reference to prepaid packages Dora's Web World will issue you a pro-rated refund for undelivered serives. Please also note, Dora's Web World can not guarantee 100 percent uptime of web hosting and all features included with the web hosting including email as applicable however you can expect that your websites uptime and associated email being delivered through our managed hosting solution that includes email through our managed hosting solution will have 99.9999 percent uptime or better. And as in the case that Dora's Web World can not guarantee 100 percent uptime of web hosting and all features including email running through our managed hosting solution, when you go into an agreement with Dora's Web World to manage your hosting, you agree to not hold Dora's Web World responsible for any upset to your business with regards to any downtime of your website because of the hosting. On that note, please realize, that Dora's Web World will do it's best to make sure your website is up and running in an acceptable way with regards to hosting, that is with an approximately 99.9999 percent uptime. 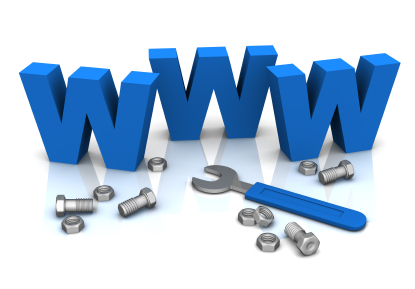 In addition, please note, Dora's Web World does have back-up hosting prepared at all times, in case it is needed. If you see your website down for more than 10 minutes, and you notice it before the Dora's Web World team does, if you give Dora's Web World a call, Dora's Web World will work to have it back up and running again as soon as possible with an estimated time at about maximum 1.5hours and if this seems for some reason impossible it will be back up and running as soon as possible and it will be Dora's Web World's priority. In this later case should any website under the management of Dora's Web World be down for more than 1.5 hours we may move your website to our backup managed web hosting solution. Regarding: Client Satisfaction and ALL Services Provided. Dora's Web World will do the company's best to make and keep all clients very happy with the service they receive from Dora's Web World. At the same time please note that delivering services takes time and money and as such please do not expect that we will give service for free to make clients happy. For example if you are paying for web hosting we can not give you consulting and training for free to make you happy. Further please note all services offered and provided by Dora's Web World are offered and delivered to the best of Dora's Web World's ability. As such you agree when you go into agreement for services provided by Dora's Web World that you accept that Dora's Web World is delivering services including but not limited to website analytics and other web related statistics to the best of the companies ability and you will not hold Dora's Web World or any third party associated with the delivery of Dora's Web World services to you liable or in any way responsibe, monetarily or in any other way, for any percieved or real omission or error in the delivery of information in any way including but not limited to on the website doraswebworld.com or any service including but not at all limited to the the service of gathering and delivering website statistics in any way, including but not limited to the use of third parties in the delivery of the service. Dora's Web World number one priority is to deliver the best service possible by Dora's Web World to clients to help them reach their goals as understood by Dora's Web World taking into account what the client's budget is, what the ability is of Dora's Web World and the ability and deliverables of third parties associated with the delivery of Dora's Web World services, and the changing web. If any clients of Dora's Web World are not happy, for any reason, working with Dora's Web World , they are free to ask for a no hassle refund on any pre-paid and undelivered services. Refunds are calculated on pre-paid yearly service fees by taking the original amount charged and paid then dividing the amount by 365 days, then taking the amount per day and calculating how many days of service have not been delivered and multiplying that amount by the original amount charged and paid for divided by 365 to come to a final refund amount. Refunds are calculated on pre-paid monthly service fees by taking the original amount charged and paid then dividing the amount by the number of days in that same given month that a refund has been requested, then taking the amount per day and calculating how many days of service have not been delivered and multiplying that amount by the original amount charged and paid for divided by the number of days in the month to come to a final refund amount. In addition, please note that no one is allowed to copy, reuse or resell any part of the DorasWebWorld.com website including the images. When you submit personal information about yourself such as phone numbers and email addresses we do not sell the information to any other parties although we may share it with our team so that we may serve you better. We are committed to helping our clients reach their goals. We are available on the phone 7 days a week between 7am and 10pm & by email 24/7.